The HKU School of Professional and Continuing Education (HKU SPACE) is a leading provider in the field of lifelong education in Hong Kong and functions as the University of Hong Kong’s extension arm. HKU SPACE works closely with the University to offer opportunities to the local community for personal and career advancement through programmes of professional and continuing education. The Hong Kong University School of Professional and Continuing Education (HKU SPACE), and the University of Plymouth have had a close relationship since 2009. 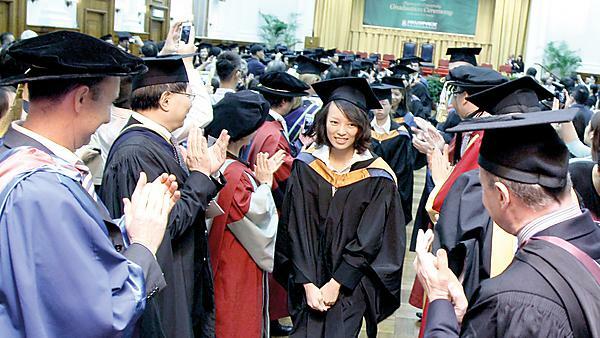 Through our current collaboration in academic study programmes, students can achieve Plymouth Honours Degree awards by studying in Hong Kong. The University of Plymouth is a world class university with an outstanding track record of excellence in teaching and research, and a commitment to working with partner institutions within the region, nationally and internationally. The University of Plymouth's successful partnership with HKU SPACE is seen as a key strategic relationship by the University. The programmes delivered in Hong Kong provide a balance of cultural perspectives on emerging theory and practice combining teaching by academics from both Hong Kong and the UK. The aim of the programmes offered in this partnership is to produce graduates that are at the forefront of thinking in their industry coupled with practice skills that will increase their employability in an increasingly global world. With over 1,000 students currently studying or having graduated at our Hong Kong graduation ceremony, this partnership of two leading educational institutions on different sides of the globe continues to grow in strength.